So you've been through all the steps setting up the event and you're ready to open the gates. This is the really exciting bit. After you've performed the steps outlined below, you and your committee will be able to sit back on deckchairs with cocktails and watch the registrations coming flooding in live in the Control Room. It's a really good idea to go back through the steps you did earlier when setting up the event to make sure that people are being charged the right amount and that all necessary information is being captured on the registration form. You will need to be in the main screen of your event to open the gates. Click the equivalent link you see below. The most golden part of the Majestri system is how easy it is for returning members to re-register. 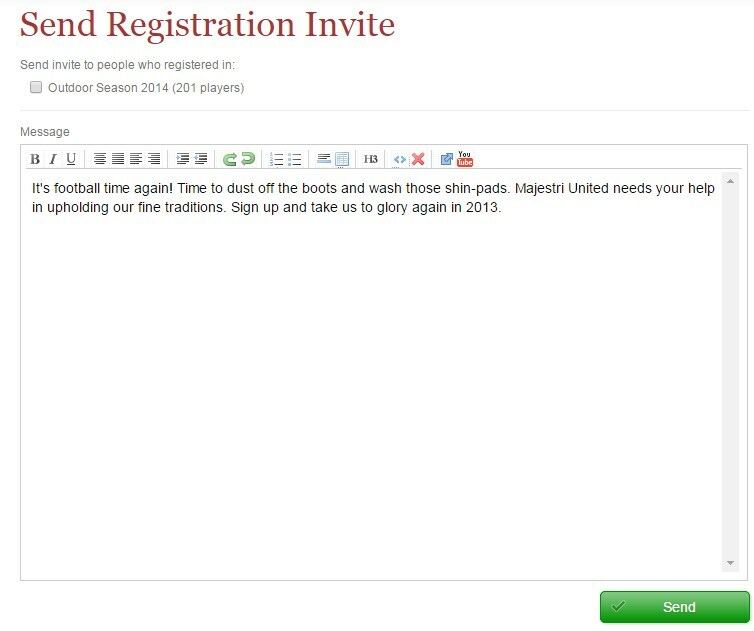 The system pushes out an email to members from last year, they click on a link, and re-register for the new season. Takes away all the roadblocks and gives you one very happy set of parents. 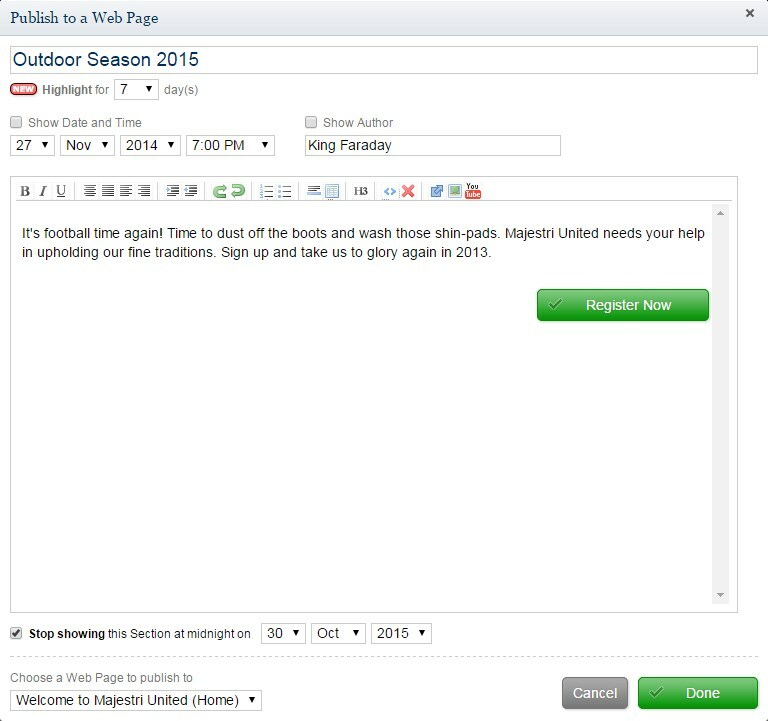 Simply "check" the previous events that you want to source the invitees from, put in some content (the default content will come from the description of your event), and hit Send. New members need to have a way that they can register and pay online as well. Because they don't receive an email like your existing members, they will discover the registration process by visiting your web site. Note the extra field down the bottom that asks you which page you want to publish to. Logically, it's your home page. As soon as you hit Done, this section will appear on your selected page and provide a big green button front and centre that will catch the eye immediately of all new members.